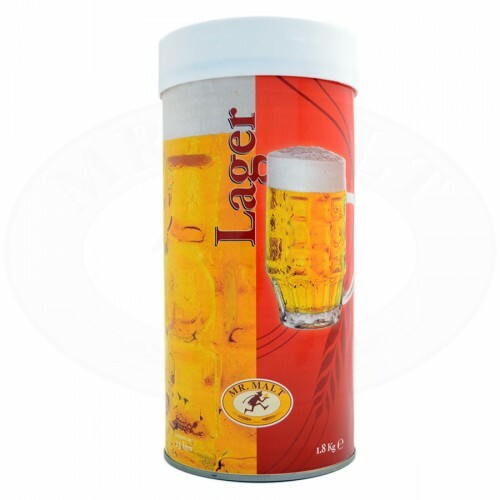 “Lager” beer kit for the production of 23 litres straw yellow, light-bodied beer. The delightful aftertaste resulting from a wide hop use makes it peculiarly refreshing. It is the most diffused beer type in the world, so that it will be a well-accepted choice for everyone! This version is slightly more alcoholic than the Mr. Malt® Base Lager. Ingredients : BARLEY malt extract, hop extract, dried yeast; the product may contain traces of WHEAT.